To put a little variety into my breakfast, I made this healthy homemade Granola Bar. I did not use any sugar so I won’t feel guilty if I eat more. 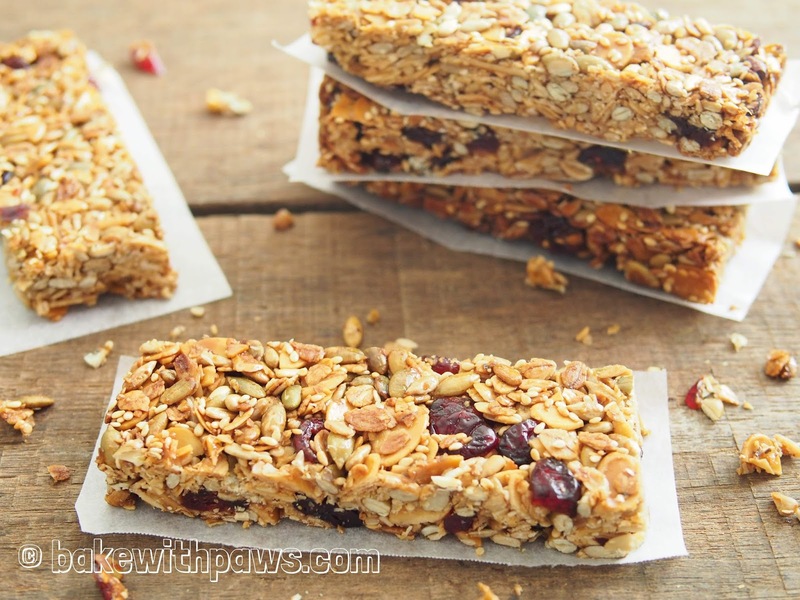 It is also excellent as a snack and energy bar. Toast almond flakes, sunflower seeds and pumpkin seeds in preheat oven at 180C (160C fan mode) for 8 -10 minutes, stirring occasionally. Remove from oven and set aside to cool. Line the bottom of baking pan with parchment paper. Once the nuts are cool enough to handle, place all dried ingredients in a mixing bowl and mixed well. In a small saucepan, heat the honey, maple syrup and coconut oil over low heat. Add the honey mixture to the dried ingredients and stir to combine and until thoroughly coated. 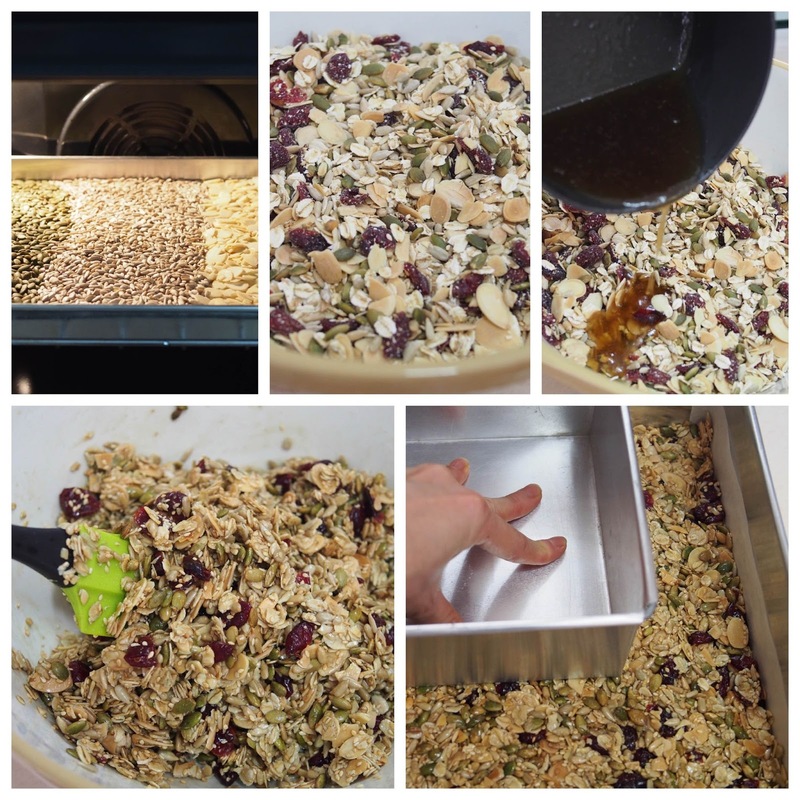 Press the granola mixture into the prepared baking pan. Bake at preheated oven at 170C (150C fan mode) for 20 to 25 minutes. 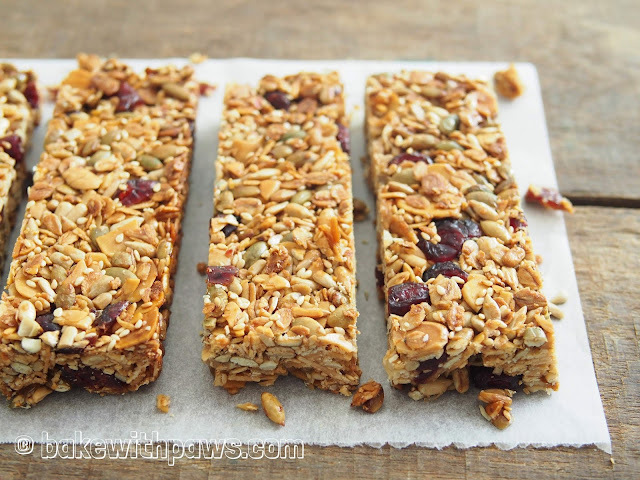 Once it is cooled, place in refrigerator for at least 1 hour before cutting the bar. Store in an airtight container.